We arrived at Chickamauga National Battlefield this morning and watched a film about the battle. 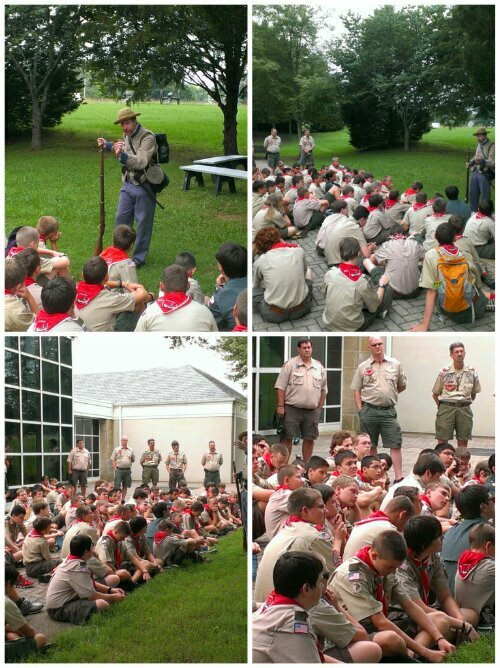 Our Park Ranger Chris gave us a very informative and passionate talk about the Civil War and it’s history in the region. Chattanooga was a pivotal battleground because of its significance as a rail and river trade route. This entry was posted in Jambo 2013 Adults, Troop C117 and tagged Chattanooga, Chickamauga, Jamboree 2013. Bookmark the permalink.